I first met Elizabeth and Michael two years ago. 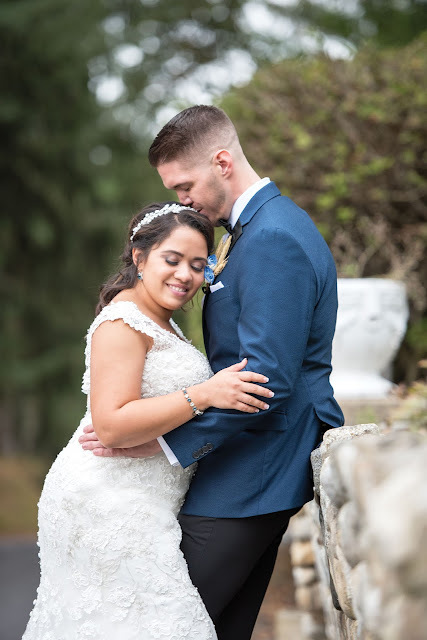 I immediately fell in love with them and their story; two school teachers who fell in love teaching across the hall from each other. 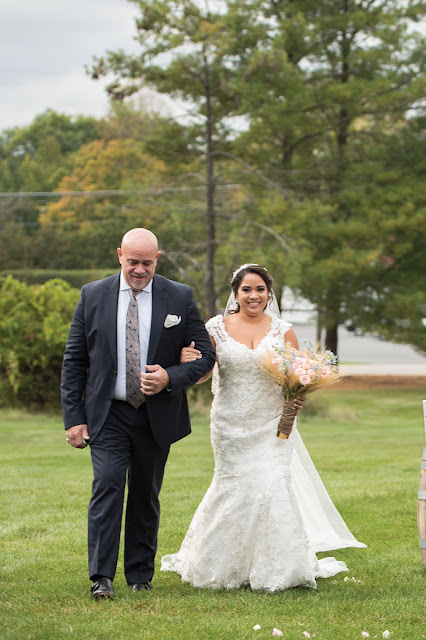 From the moment I met them, I could feel how much these two genuinely loved and respected one another. 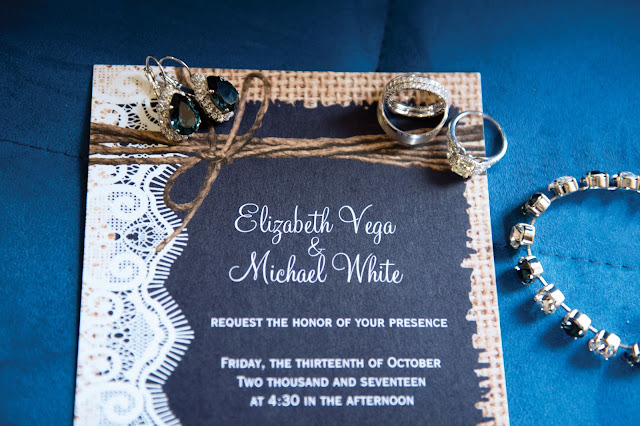 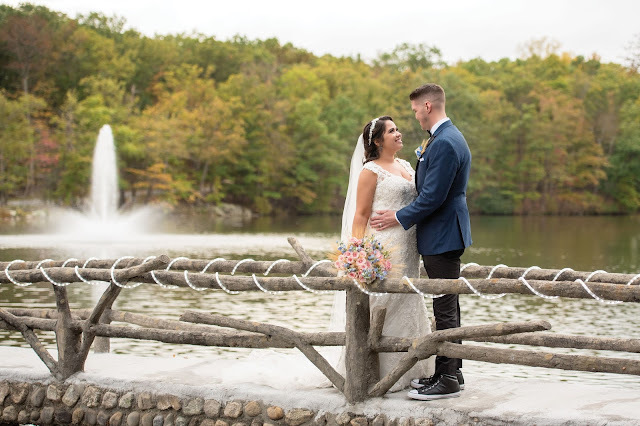 We photographed their engagement photos at Verona Park, the very location where Mike sent Elizabeth on a scavenger hunt retelling their love story to propose. 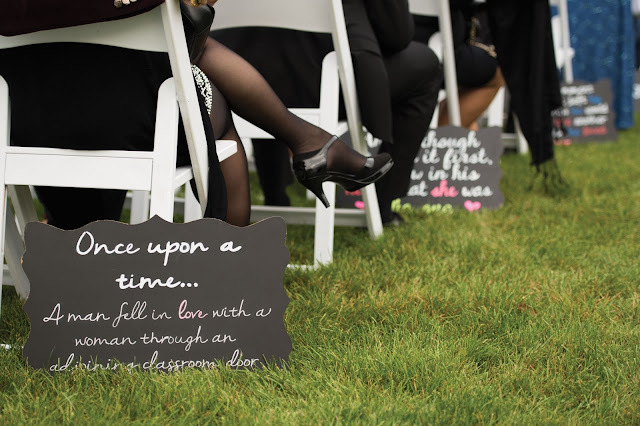 They used these same signs that Mike used for his proposal, down the aisle on their wedding day. Everything about the day was perfect. When I arrived, both Mike and Elizabeth were relaxed and excited for the day ahead. 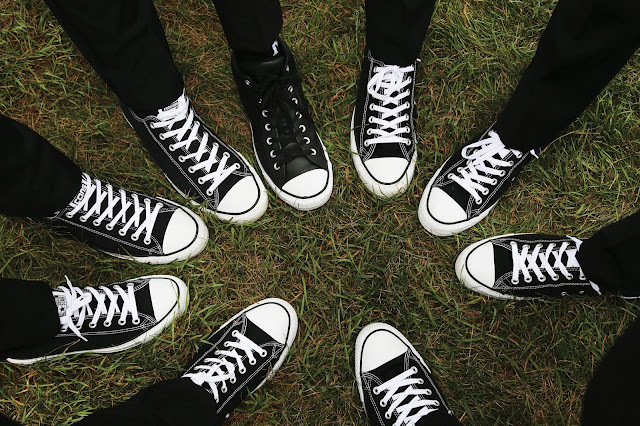 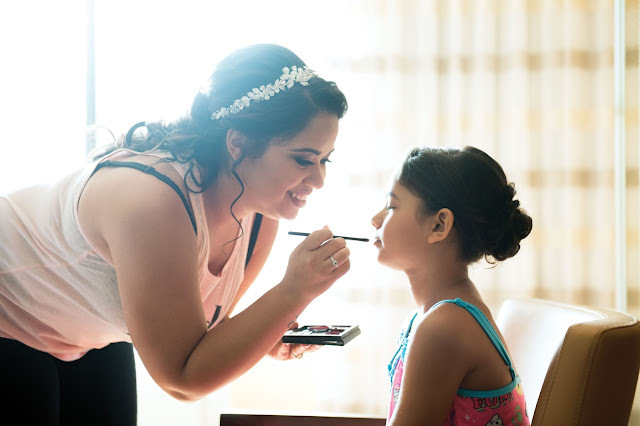 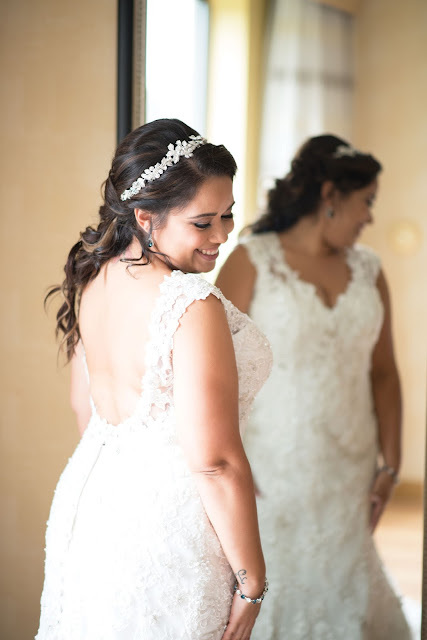 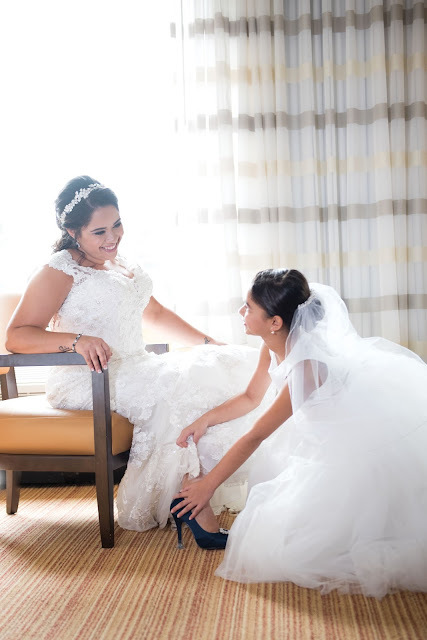 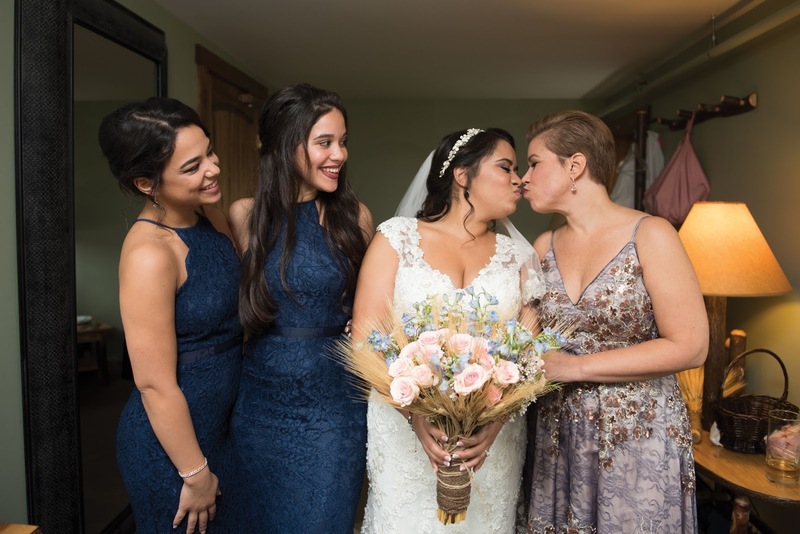 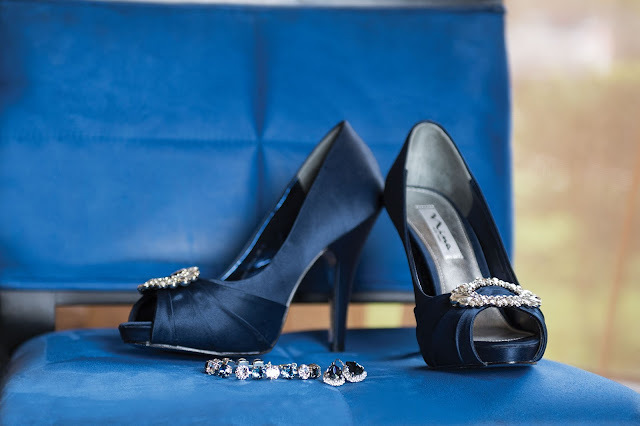 Elizabeth got ready with her mother, sisters, niece, and closest girlfriends. 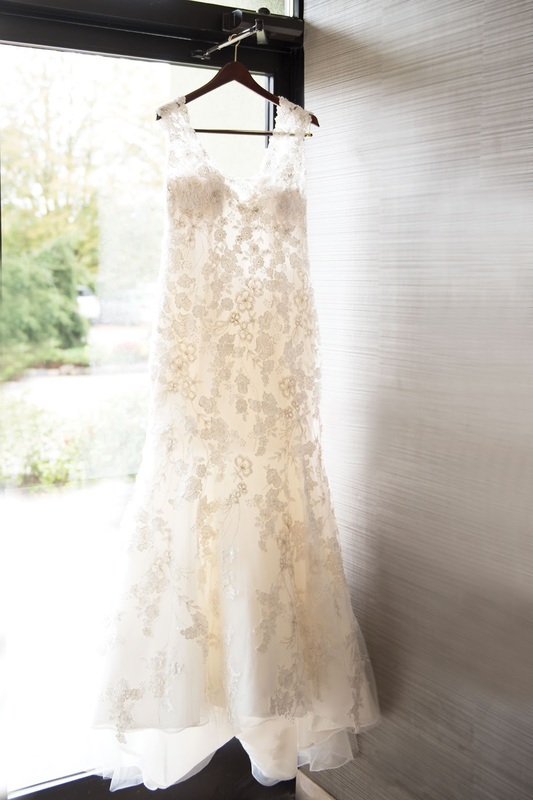 It was one of the most calming bridal suites I had ever been in. 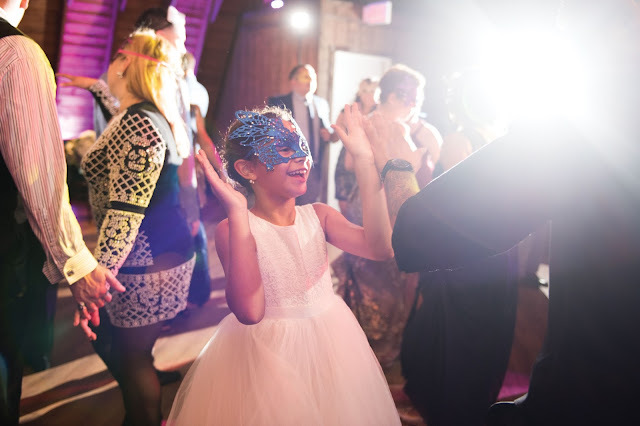 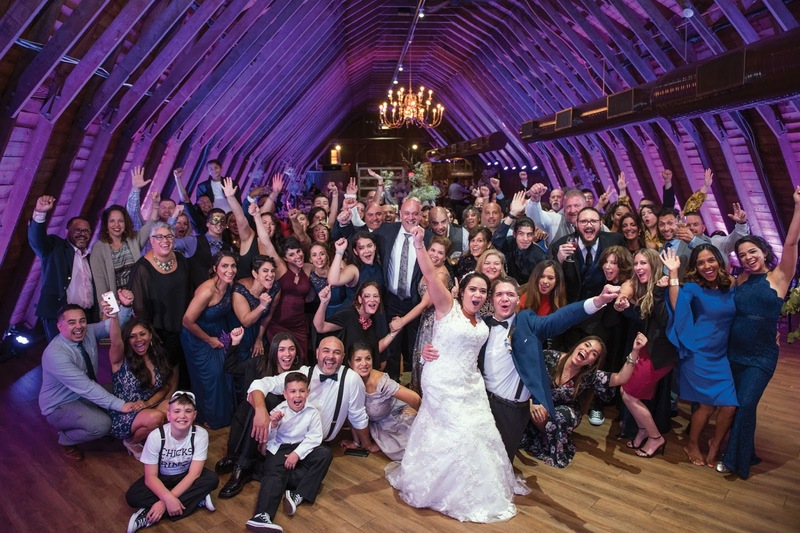 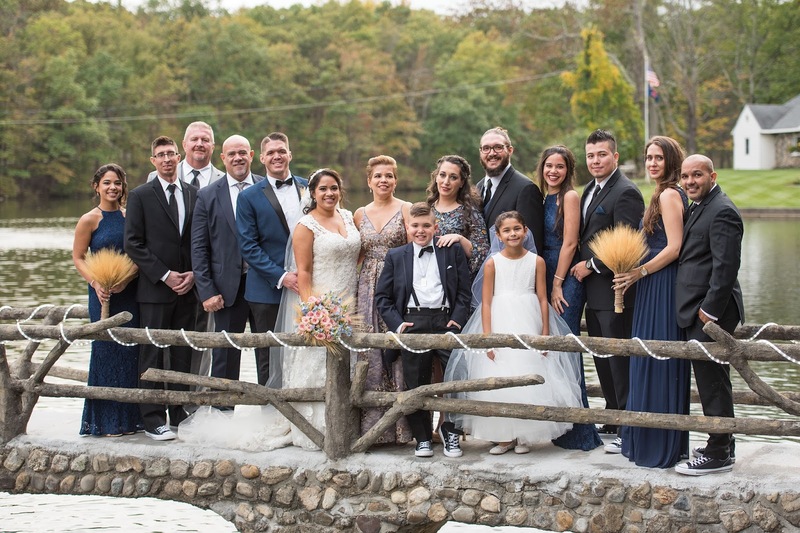 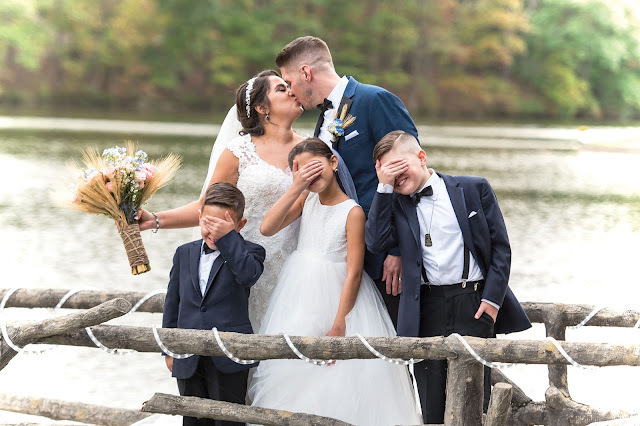 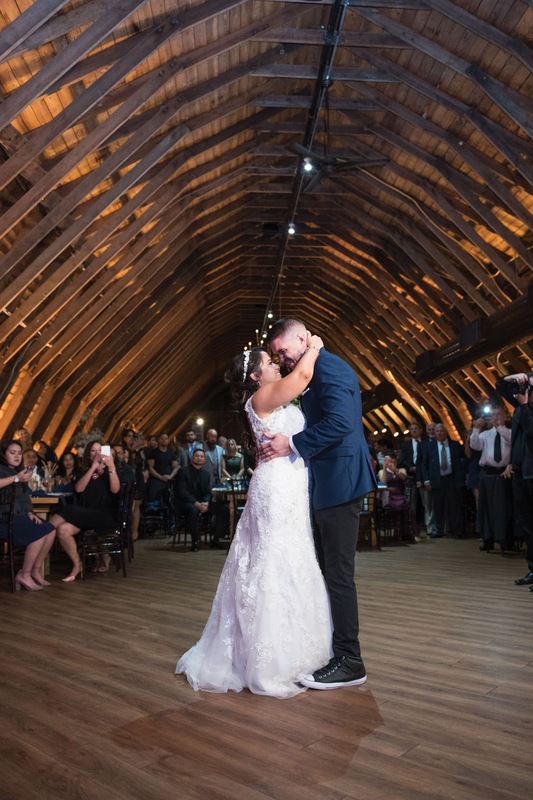 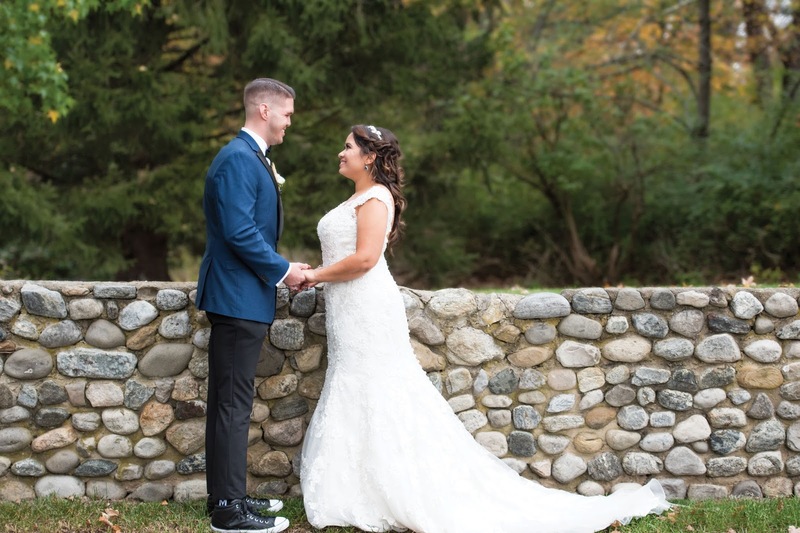 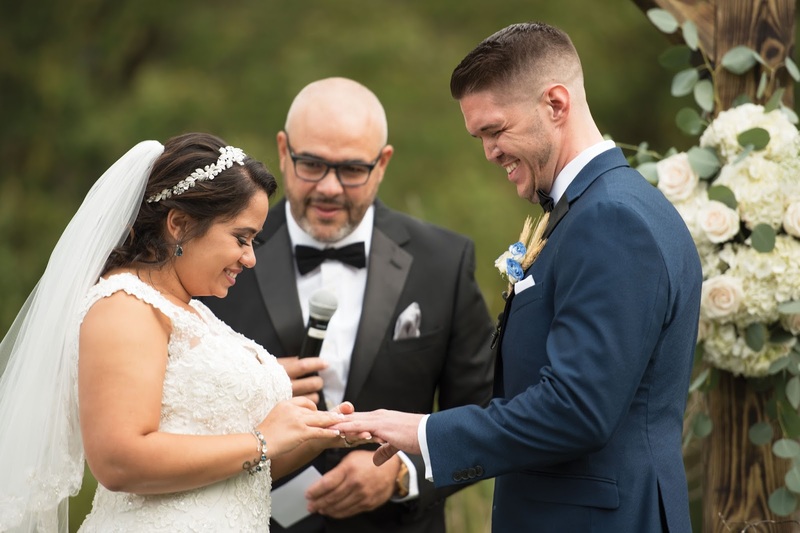 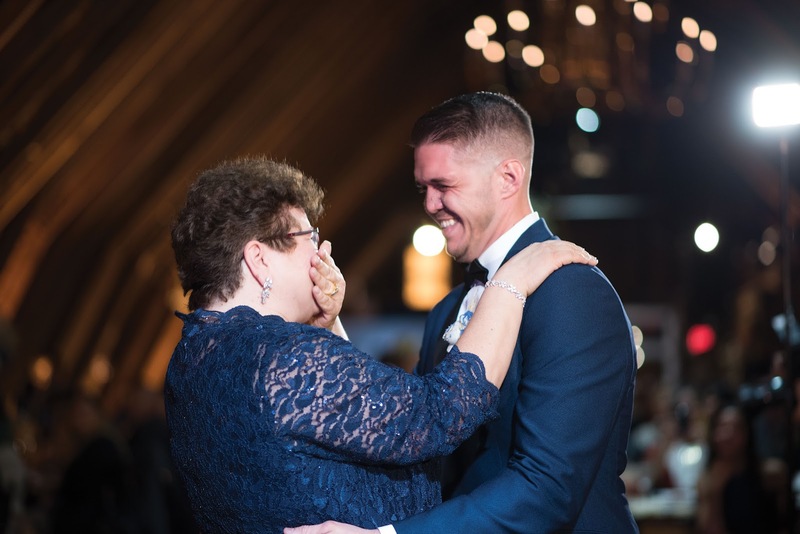 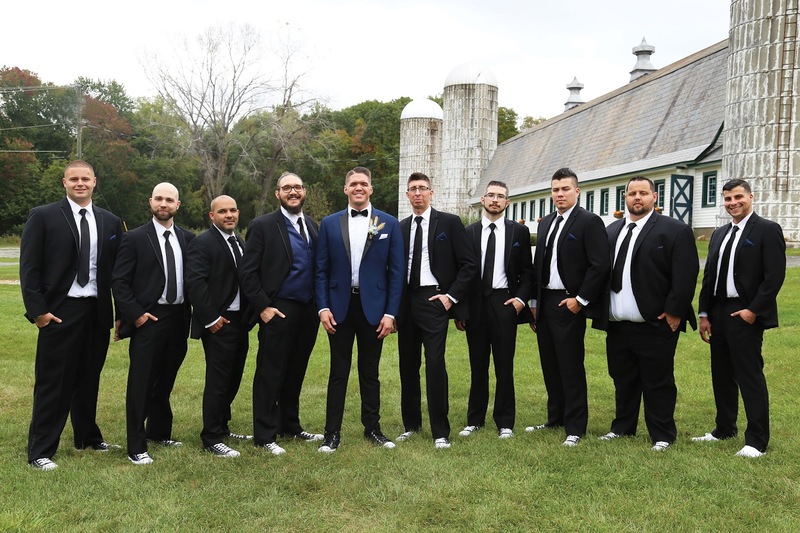 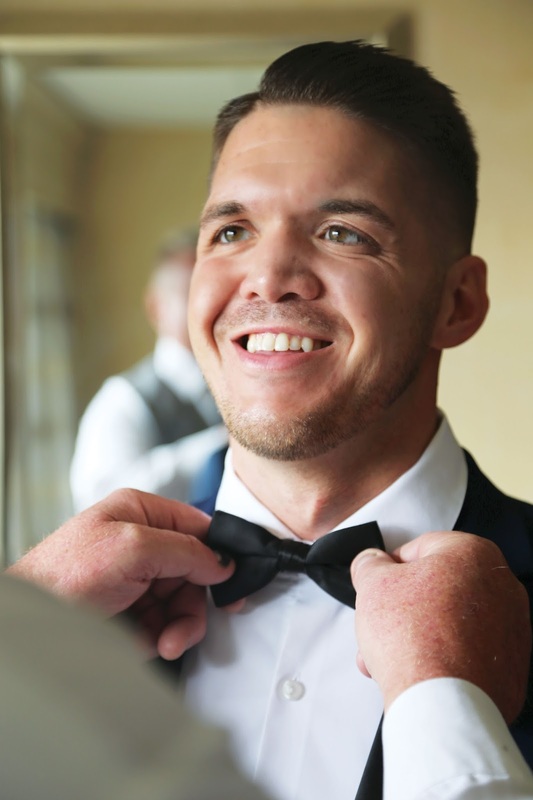 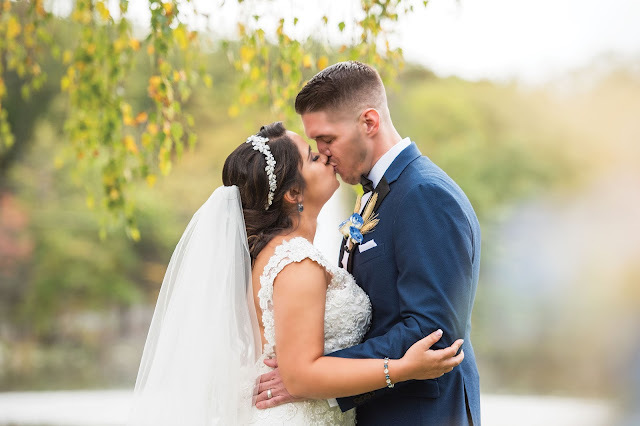 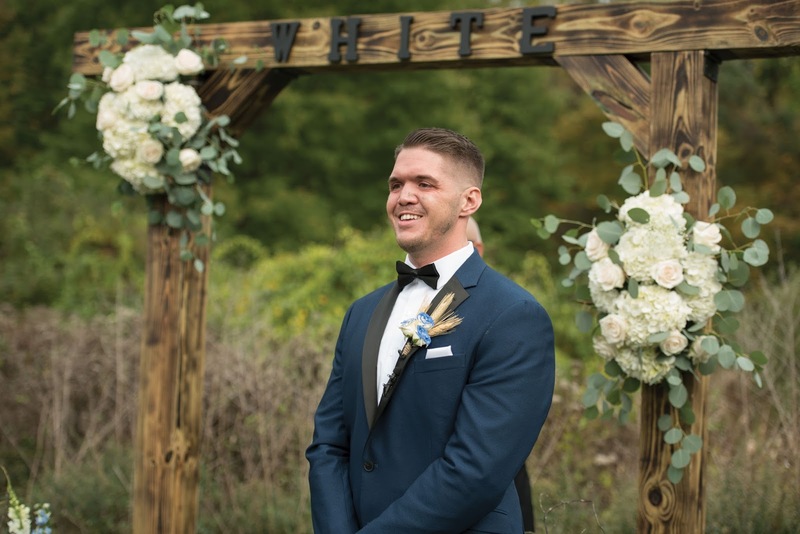 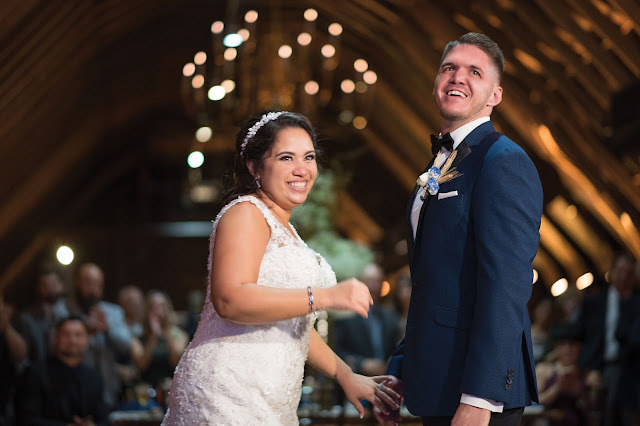 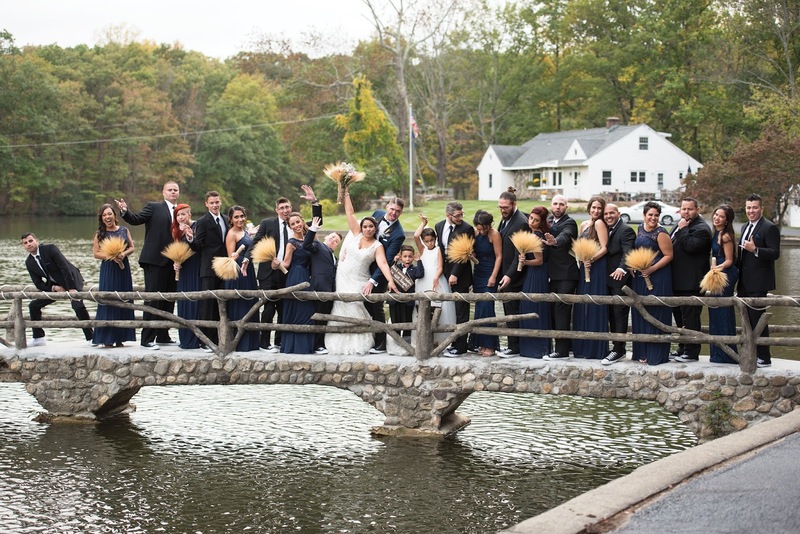 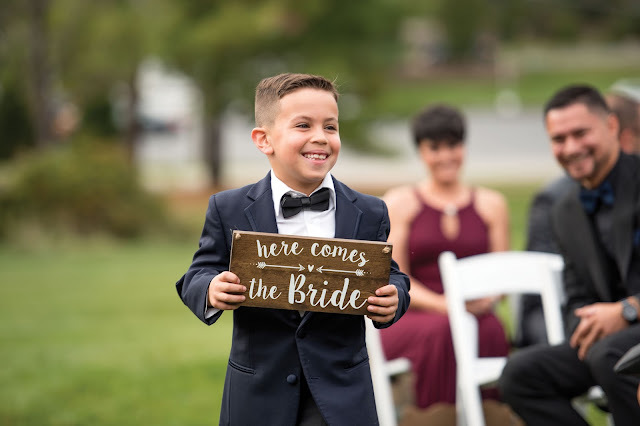 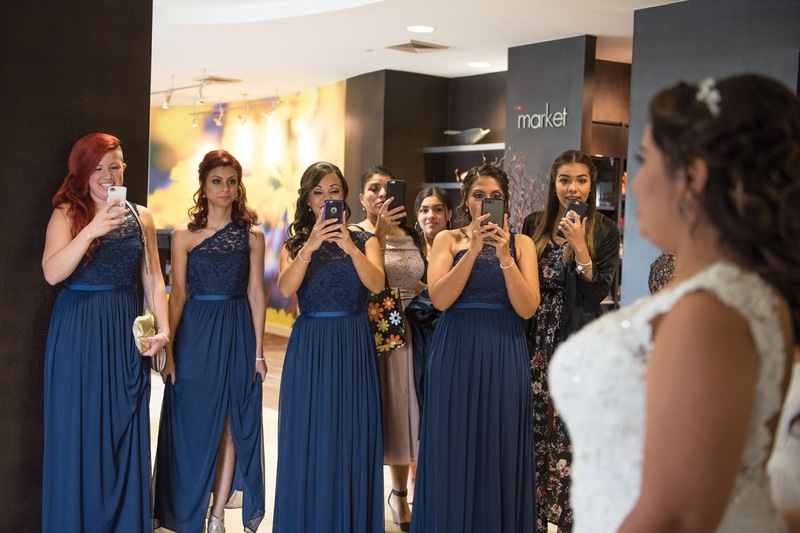 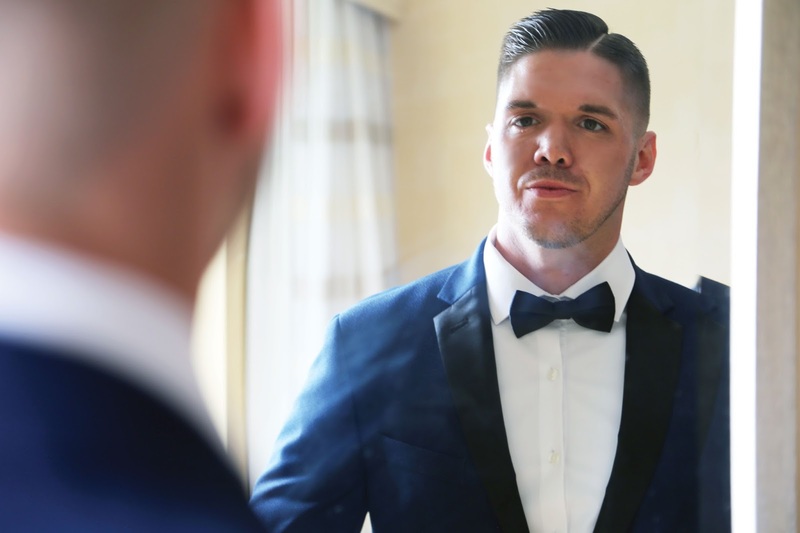 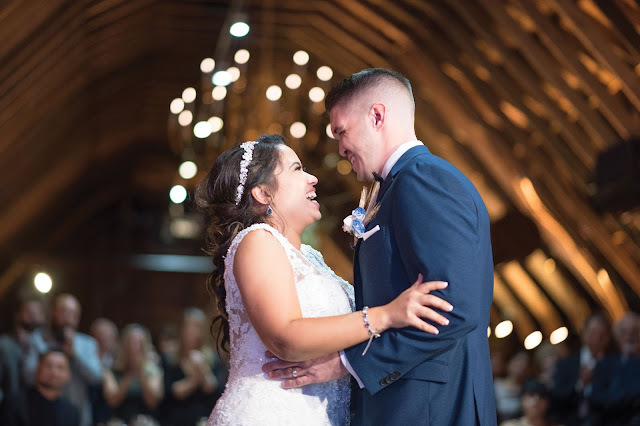 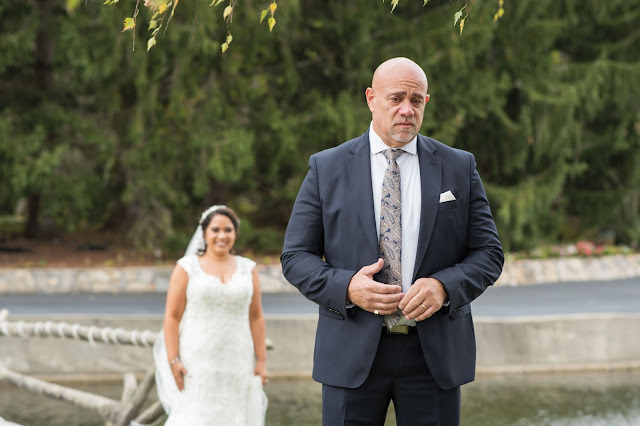 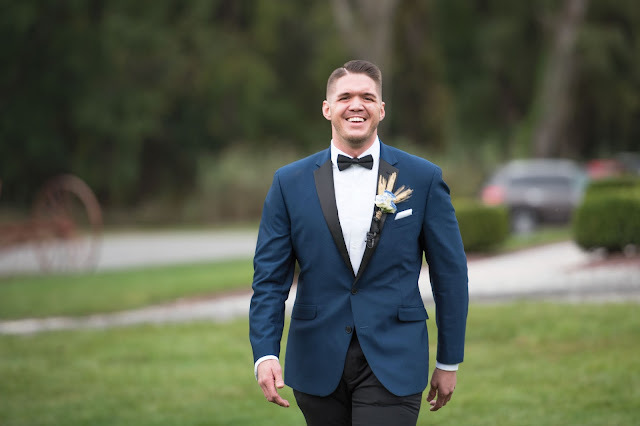 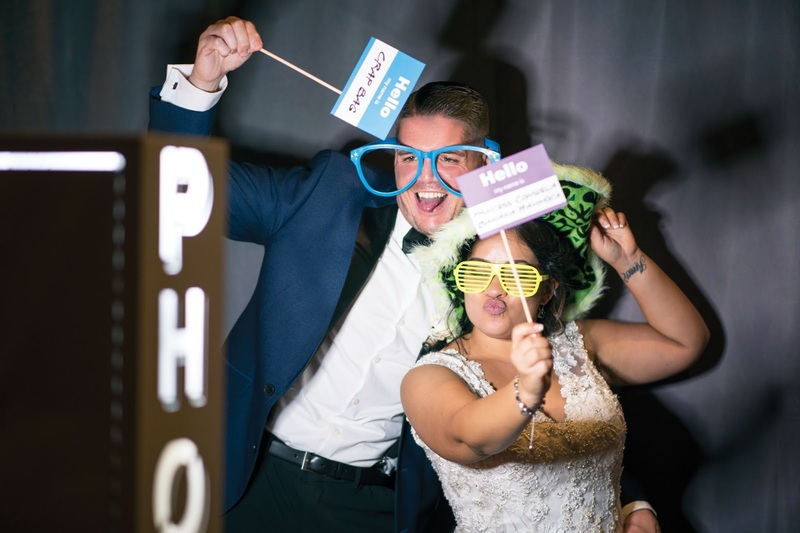 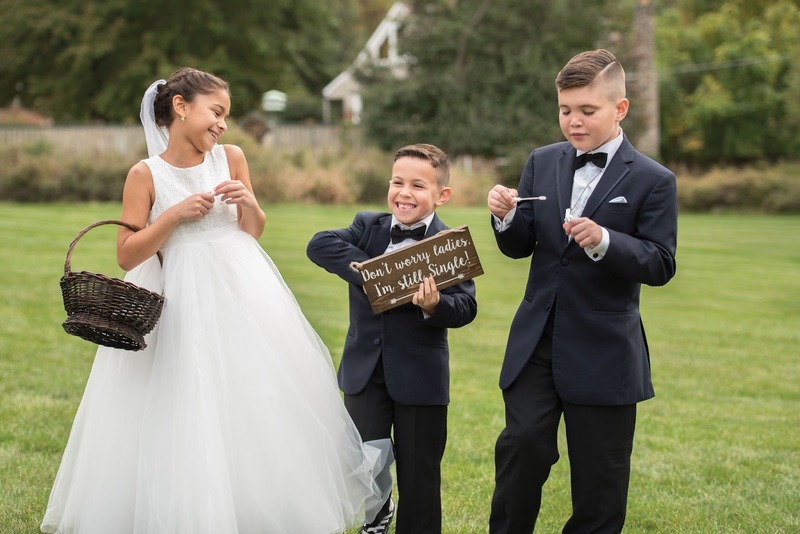 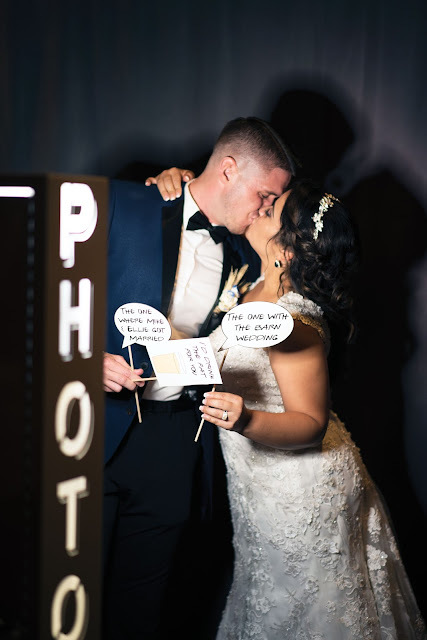 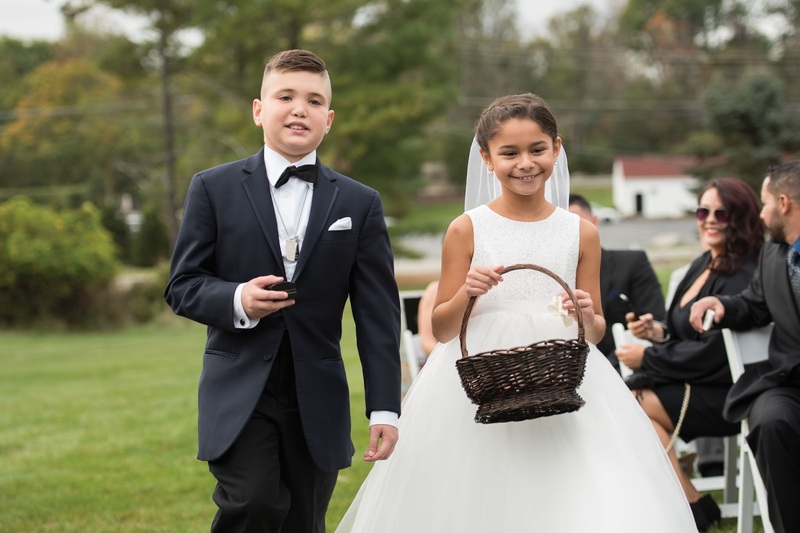 Mike had insisted on seeing Elizabeth for the first time when she walked down the aisle, and the entire bridal party shared one party bus, so Mike voluntarily rode blindfolded to Perona Farms, where both the ceremony and reception took place. 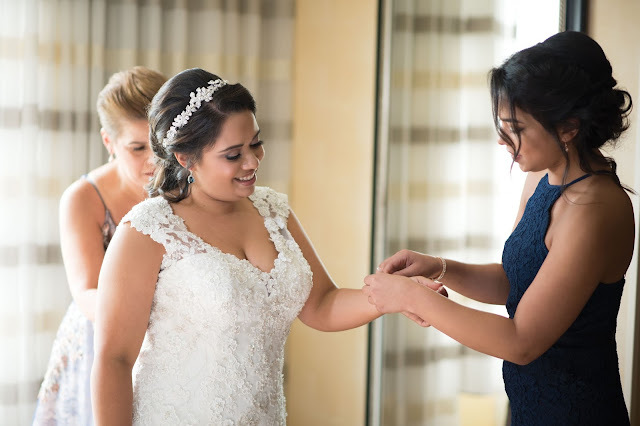 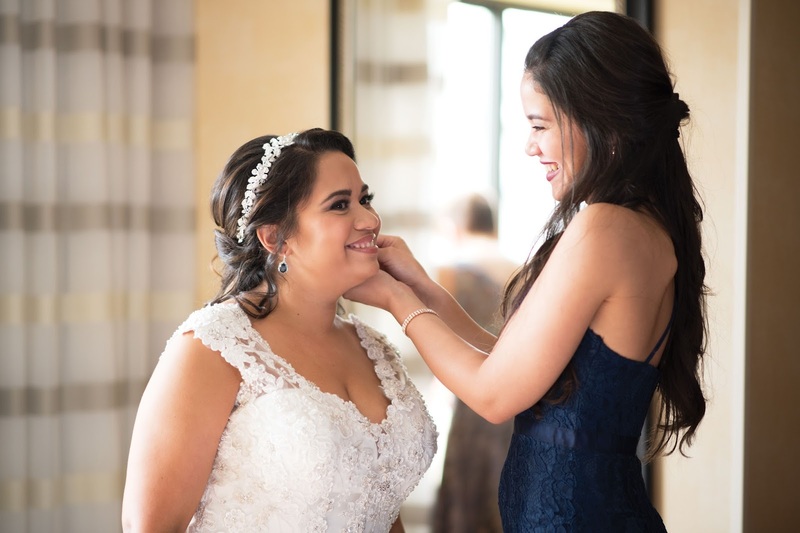 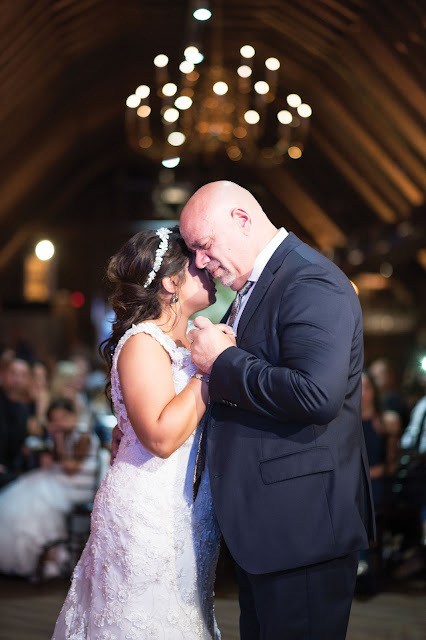 The bride shared an emotional first look with her father before the ceremony, officiated by her uncle. 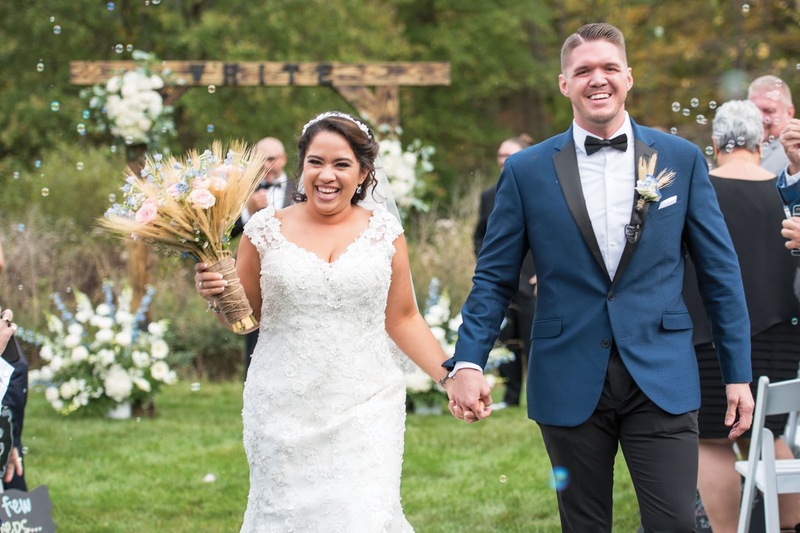 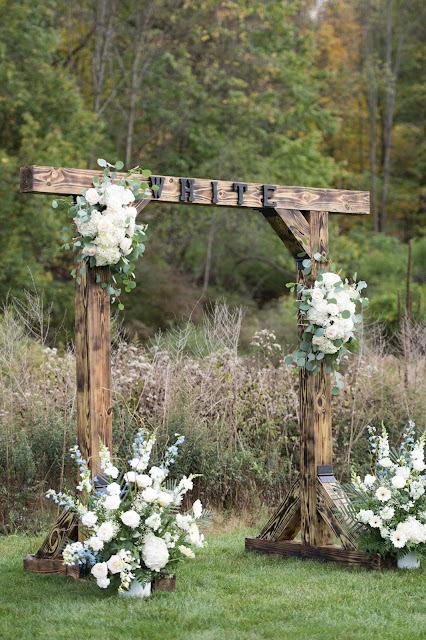 The couple said their "I do's" and personalized vows under a handmade arch crafted by loved ones. The reception was nothing short of amazing. 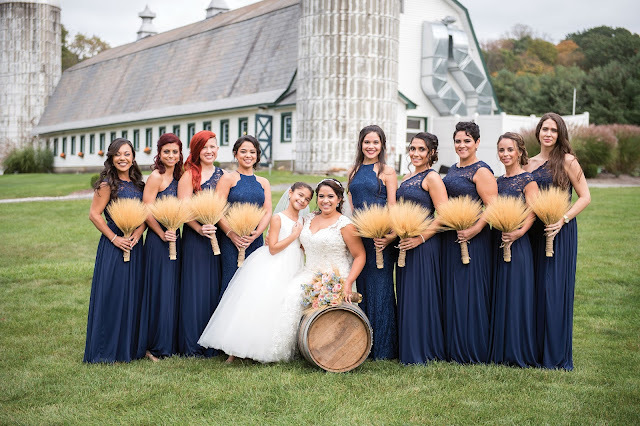 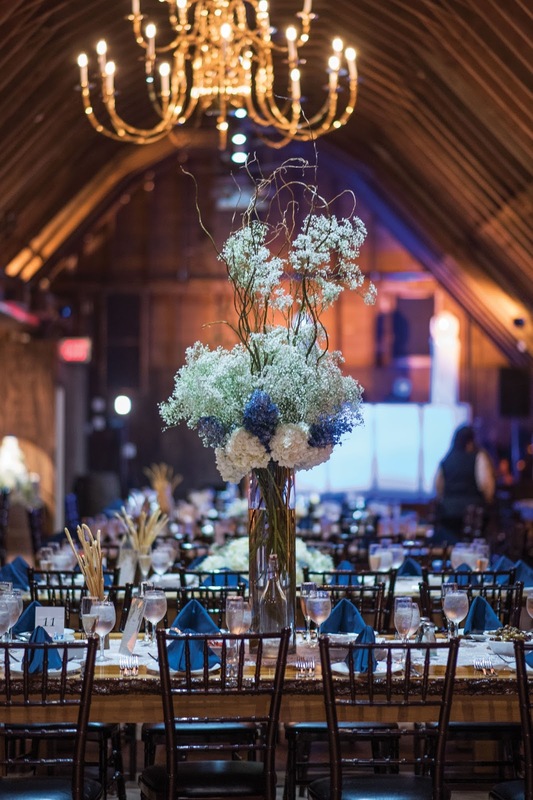 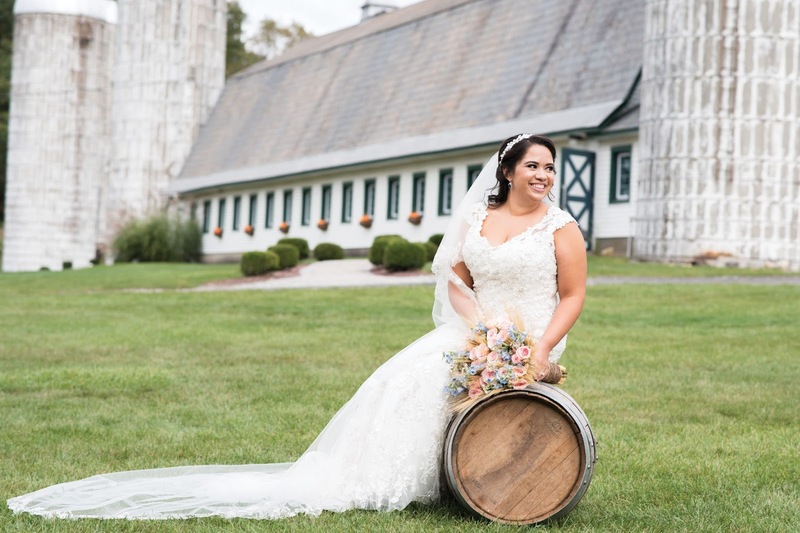 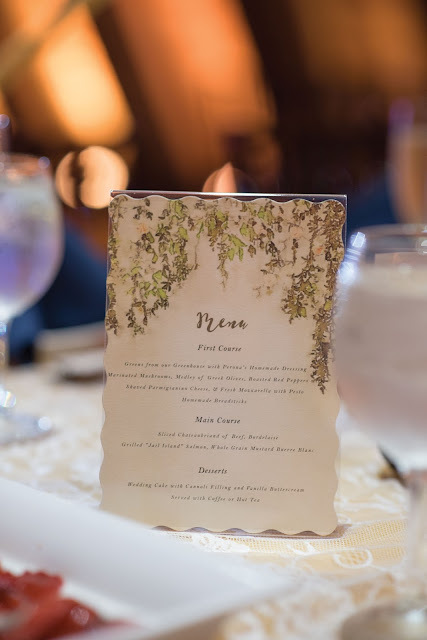 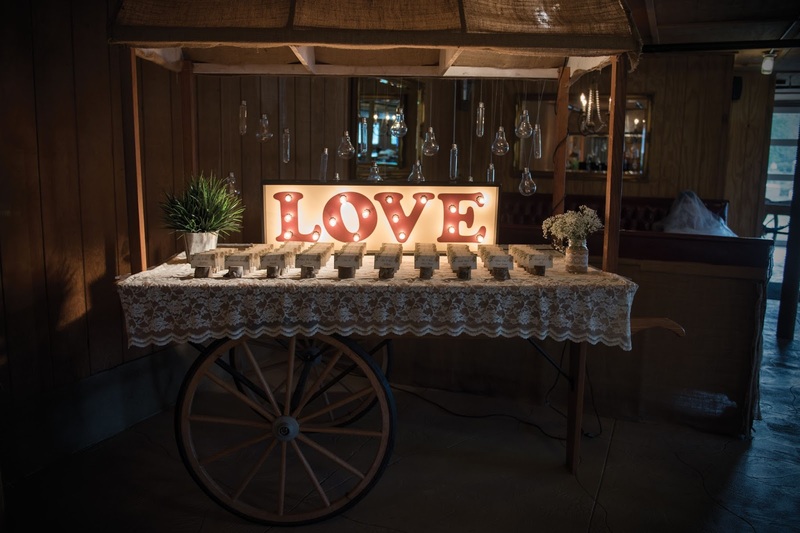 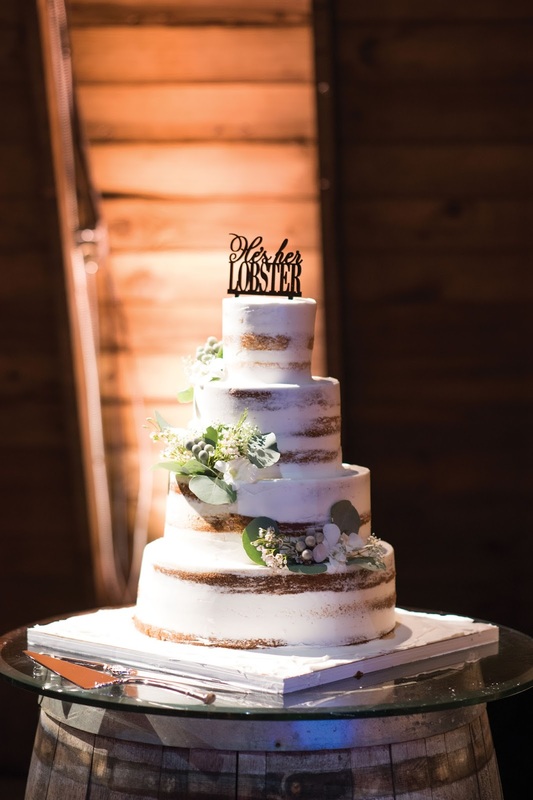 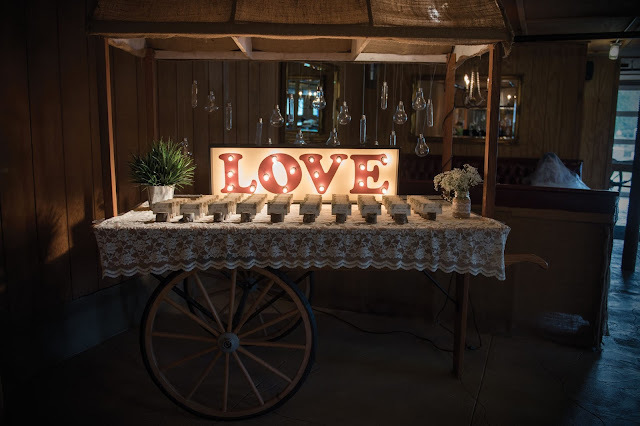 Liz had planned out every detail and the barn was boasting with stunning flowers, hand-crafted decor, and incredible attention to detail. 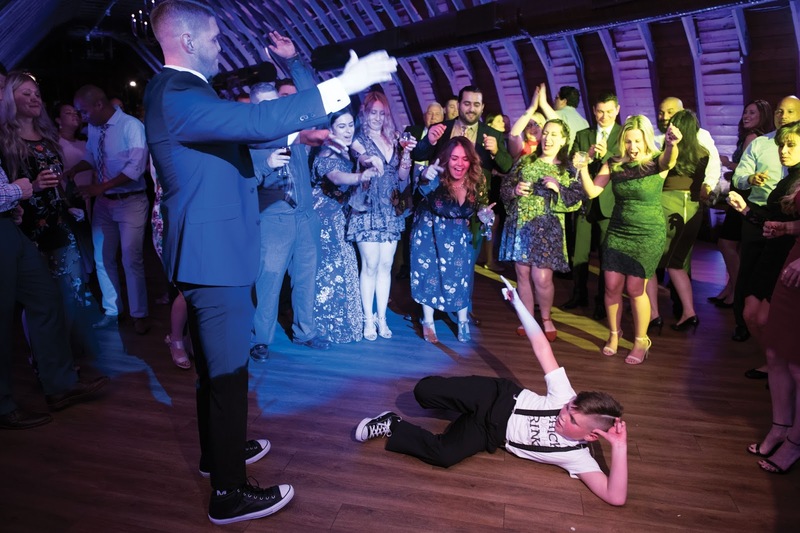 The night was full of surprises including a maid of honor speech that broke out into song, a special guest appearance by a cousin in a very creepy Michael Myers costume, the groom serenading his bride on stage in front of the entire party, a visit from the police because the DJ was doing his job a little too well and had the dance floor energy one decibel too high, and a masquerade party to conclude the night. 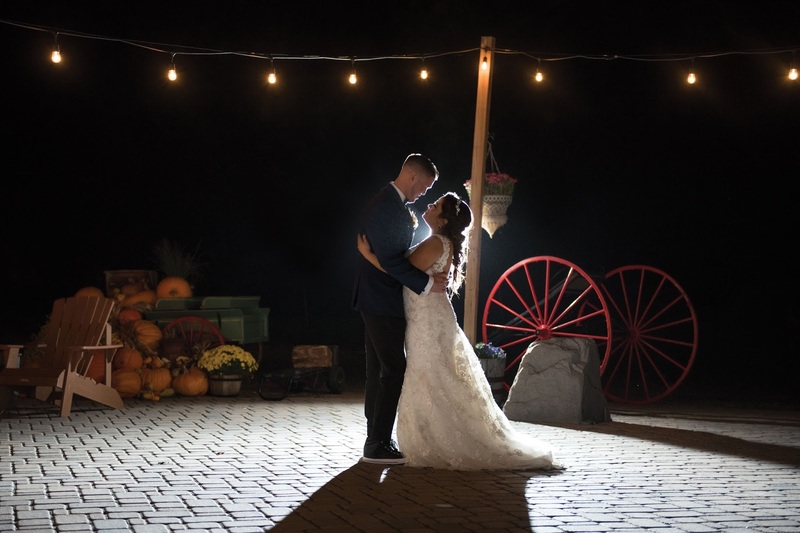 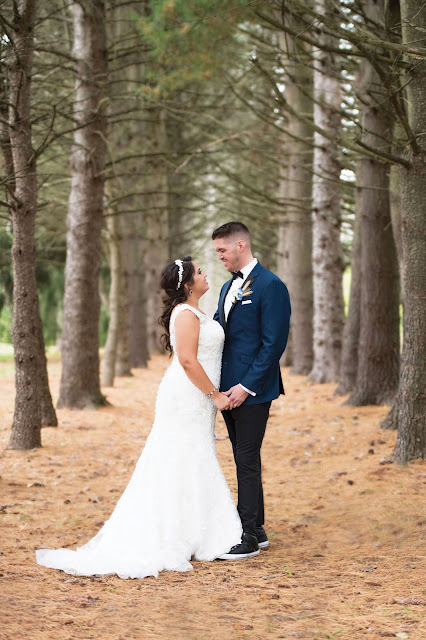 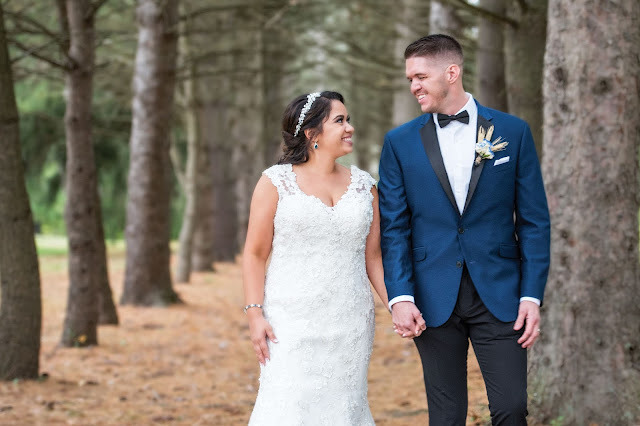 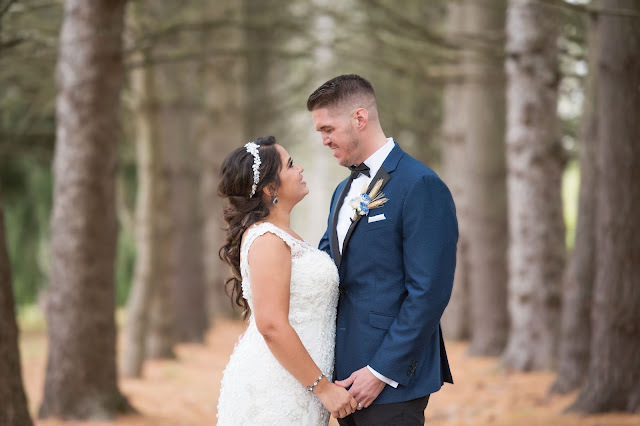 I was so pleased to capture some very fairy tale-like shots in the woods and below twinkly lights for these two lovebirds, who really embody a storybook ending. 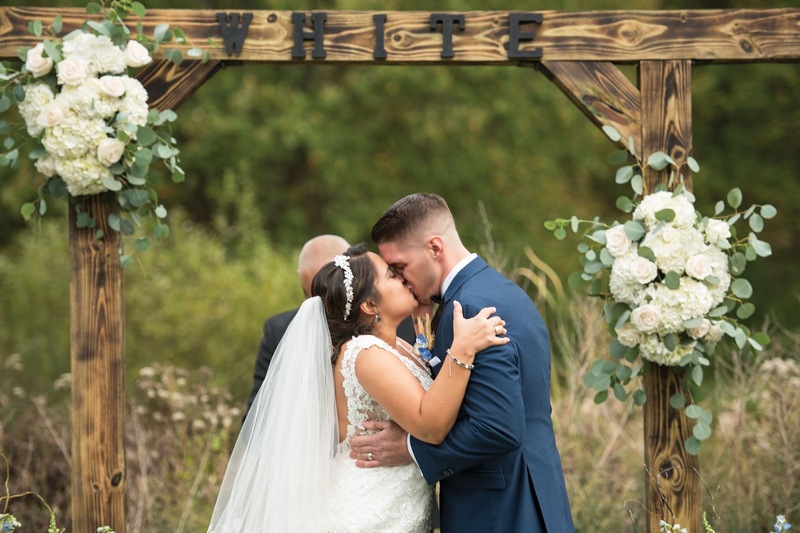 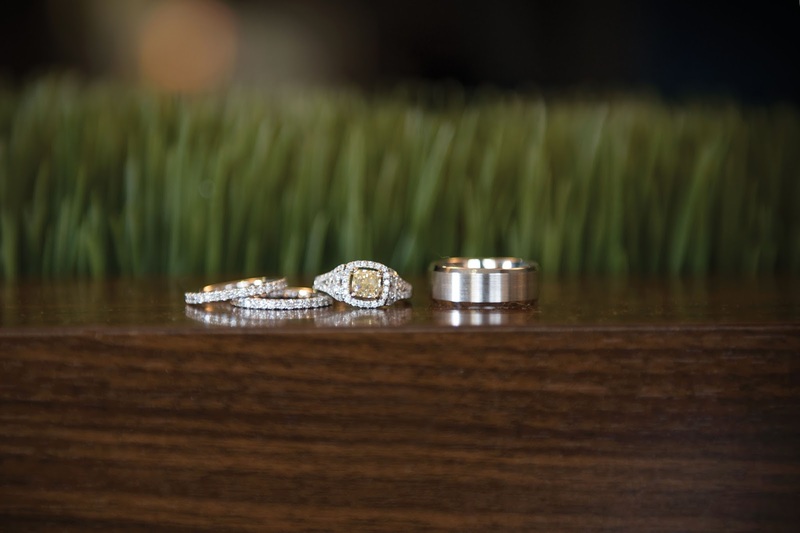 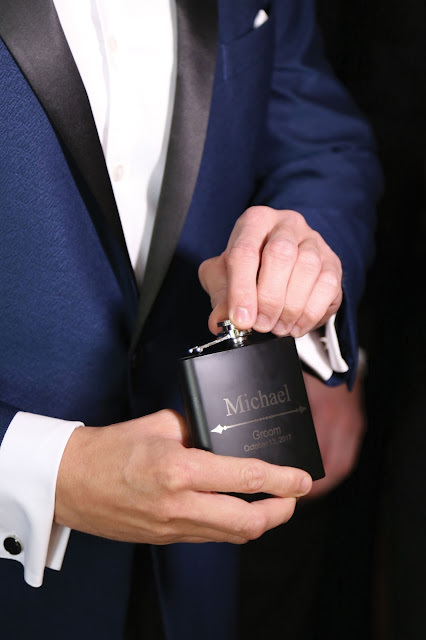 Cheers to a happily ever after Mr. and Mrs. White! Thank you Ryan Geiger for these handsome shots of the men getting ready!